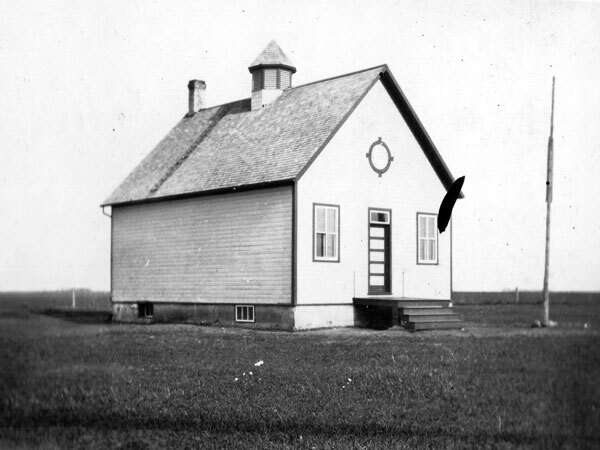 The West Oakland School District was organized formally in January 1881 and a wood frame schoolhouse was built later that year on the southeast quarter of 17-13-7 west of the Principal Meridian in the Rural Municipality of Portage la Prairie, on the farm of D. W. McCuaig. In December 1894, the building was moved to NE7-13-7W. It was replaced by a new, larger building at SE13-13-8W in 1905; it featured a concrete basement and a furnace. 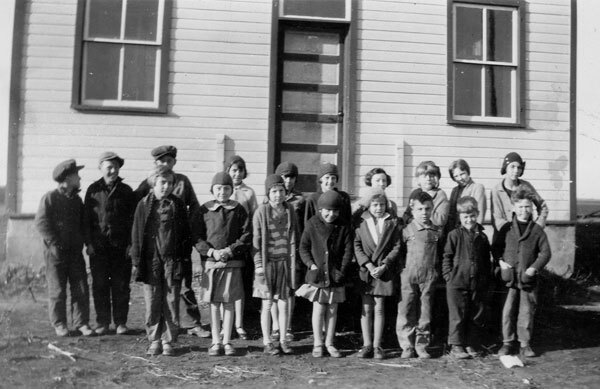 The school closed in June 1941 and, in 1962, its district became part of the Macdonald Consolidated School. The building is no longer present at the site. The teachers who worked at West Oakland School through the years were Miss Maggie Ann McCuaig (1881), Miss D. McGinnis (1882), Miss Mary S. McCuaig (1883), Miss Maggie Ferguson (1884), Miss Annie McLeod (1885), Miss Jackson (1885), Miss Maggie Baldwin (1886), Miss Mae Bravey (1887), Miss Christy McLeod (1888), W. E. Metcalfe, Miss Minnie Balmer (1890), Miss Nellie McGhie (1891), Miss Sahara Kennedy (1892), Miss Eva Ruttan (1892, 1896), Miss Emma Conner (1893), Miss Margaret Baxter (1894), Miss Lizzie Stewart (1895), Miss Mary E. McKinnon (1897), Miss Minnie McLeod (1898), Miss Minnie Glennie (1900), Miss Edith Mills (1900), Mr. C. V. Fehrenback (1901), Miss Annie Carswell (1901), Miss Edith Finland (1902-1903), Miss Jean Baird (1904), Mr. A. W. Grover (1904), Miss Lizzie McKay (1905), Miss McDougall (1906), Miss M. Stephens (1907), Miss McLennan (1908), Miss A. B. McMillan (1908), Miss Parker (1909), Henry Herbert McKeen (1910-1911), Miss Whimster (1911-1912), Miss Dickson (1913), Miss E. Metcalfe (1914), Miss Ruth McMillan (1915-1917), Jean McArthur (1918-1919), Ivy Stephenson (1920), Jeanette Hutchison (1921), Miss Carrie Bailey (1921-1923), Grace Zealand (1923), Miss Sarah Jacobs (1924-1925), Miss Grace Scott (1925), Miss Annie I. Price (1926), Peter Renwick Stewart (1926), Agnes Souter (1927-1928), Eva Greenlay (1928-1929), Mildred Belton (1929-1930), Elizabeth McIvor (1930-1937), Miss Elsie Robinson (1937-1939), Jean Byles (1939-1940), and Esther Pettypiece (1940-1941). GR8461, A0233, C131-1, page 35.